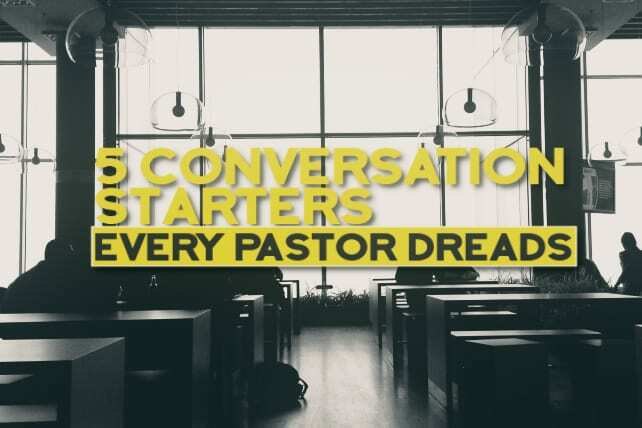 I talk to a lot of people as a pastor, and it’s almost always a pleasure. However, I can usually tell when a conversation isn’t going to go so well when it begins with any of the following phrases. Interpretation: “Nothing on your schedule is as important as what I’m about to say. Interpretation: “I have rehearsed this over and over, but I still sound weird, even to myself. Interpretation: “You think you know, but I really have more insight, and you need to hear it from me to get the facts straight. Interpretation: “You made me mad, I realized I was wrong, but I still want you to know you made me mad, even though you did nothing wrong. Thanks for letting me have some fun. People are mostly great, even when they stumble with words. What are some of your favorite, but awkward, conversation starters? Previous articleOh No, Jesus Was a Step-Child!